According to an RBI report, in 2017, Non Banking Financial Company, are performing better than the banks are saddled by bad loans and poor profitability. The realization comes as NBFCs has been the largest net borrowers of funds from the financial system, in a few financial years. There are growth opportunities for NBFCs because they are involved in contributing, immensely, to India’s economic growth, despite the issues regarding the NBFCs. provide any services and sale/purchase/construction of immovable property. (b) and have a Net Owned Fund (NOF) of 2 crores, minimum. These are an important segment of Indian Financial system, raising funds from the public directly or indirectly and lend them to ultimate spenders. They perform brokering such as accepting deposits, making loans and advances, leasing, hire purchase etc. The funds raised by such means are then lent to various wholesale and retail traders, small scale industries, self-employed persons. To protect the interests of the individuals, investors as well as, borrowers, (some NBFC were reportedly charging exorbitant interest rates and/or using coercive practices to recollect their loan amount), RBI conducts frequent screening and framed new frameworks to address risks, gaps and arbitrage. provide loans and credit facilities. trade in money market instruments. manage portfolios of stocks and shares. underwrite stock and shares and other obligations. Companies that are non-banking financial activity, without proper registration, can get prosecuted in a court of law. So if the principal business of your organization is lending, investment or deposit, then it can get penalized or fined. a Registered Company under the Companies Act 1956.
is engaged in Financial Activites, as covered under the NBFC Act. is holding minimum Equity Paid-up Capital fund of INR 2 Crore. In the case of Foreign Company and Foreign Investor, the minimum limit is INR 5 Crore. Memorandum of Association (MOA) and Article of Association (AoA). Board Resolution in favor of NBFC formation. Documents related to management and administration of the company. Detailed information about Partners or Directors. Audited Accounts of the company for the last three consecutive years. Bank Account with a minimum Equity Paid up capital of INR 2 Crore. Other Relevant documents that may be requested. The applicant has to file an application on RBI’s website (COSMOS). You do not need to go to “Log-in”, for now. Instead, click on “CLICK” for Company Registration on the login page. Download the suitable Application form available in Excel Format. Fill in the data as applicable. You must know and fill in the correct name of the Regional Office in the field “C-8” of the “Annex-I identification Particulars”, in the form. get it signed & stamped from a Statutory Auditor. This online application is made with information regarding the demanded documents and enclosures. This generates a Company registration Number or CAR Number. After applying online, the applicant has to take a hard copy of the submitted application, along with the demanded documents to the Regional Office. Once, the submitted application and documents have been, the regional office sends the application to the Central office of RBI, that conducts a vigilant examination. If the terms and conditions under section 45-I A of the RBI Act, 1934 are fully met and RBI is satisfied, the License will be granted. And now your business has NBFC Compliance. Chit Fund Companies registered with the Chit Fund Act, 1982. Now, their significance is being recognized as complementary to the traditional banking sector in meeting the credit demand unmet by them. They became ideal for who do not otherwise qualify for a bank loan or who prefer to do business with non-banks. Investors can build a diversified portfolio of loans by investing small sums across a range of borrowers. 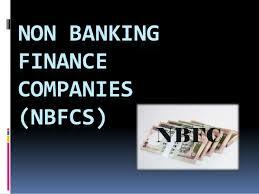 Participation of NBFCs in Insurance Business, Gold Loans, Commercial Vehicles & Cars, Micro-finance etc is incomparable. You can commence your business only after making NBFC compliance with rules & regulations, as applicable. If your company is engaged in the business of any of the above-mentioned sectors. And it produces a finance flow from that business, more than 50% of the total capital asset of the company for any year, having NBFC License is mandatory. Only those who have a valid NBFC Registration, in their hands, can accept/hold public deposits. RBI conducts frequent screening and is very particular about maintenance of the required NOF by all NBFCs. Any non-compliance by NBFCs attracts strict action, eventually leading to the revocation of the Registration. In recent times, the importance of NBFCs has been established to the RBI, and it is making pragmatic moves to regulate this sector. In order to keep ahead in the NBFC business, use our Advanced Business Knowledge with Tech, call now at +91 8750008585 or Email:contact@companyregistrationonline.in. To know more about the services we offer, please visit our website companyregistrationonline.